While some people believed that Apple would announce new 13 and 15-inch MacBook Pros at its media event last week, the company did no such thing, instead preferring to give the 9.7-inch iPad Pro and iPhone SE the limelight. We still expect to see Apple’s most powerful notebook computers receive a considerable refresh before August rolls around, though, and designer Martin Hajek has been working on some concepts of what they might look like based on current rumors. We have shown you some of Hajek’s work in the past, and this time, the designer has taken the existing MacBook Pros and given them some of the design aesthetics of the current 12-inch MacBook, which makes for quite a striking combination indeed. 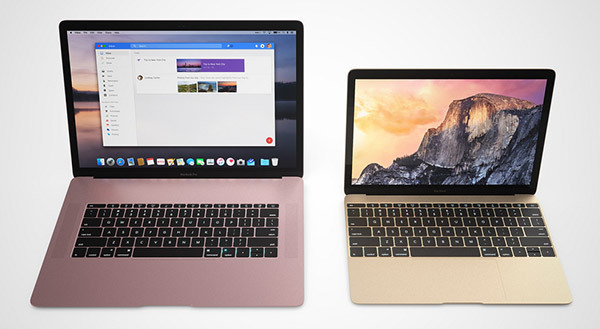 Featuring smaller bezels and thinner bodies overall, the concepts look stunning, and if there is any truth to talk of the MacBook Air going away and being replaced by ever thinner and lighter MacBook Pros, these concept images give us a good idea of how that might be possible. Of course, little consideration has gone into whether these things are actually feasible from a technological standpoint, but this is Apple. They’ll find a way to make it possible. Hajeck’s concept isn’t all hardware either. Featuring screenshots showing off a theoretical macOS, the whole ensemble of concept hardware coupled with software that doesn’t exist makes these MacBook Pros look even more futuristic, even though the hardware, at least, may just be a few short months away. 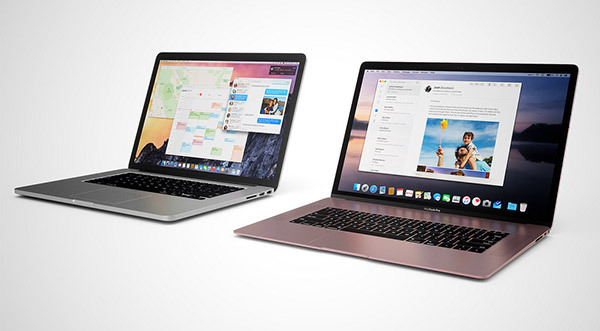 With Apple’s MacBook line of notebooks now very much showing the way when it comes to miniaturisation, it stands to reason that Apple would take some of its learnings when designing that hardware and use them in a MacBook Pro at some point. A similar cross-pollination of designs brought some of the early MacBook Air’s design cues to some of Apple’s other notebooks, for example. Expect to see new MacBook Pros in the coming months, and if these concepts are anywhere near accurate, they’re going to be lookers. 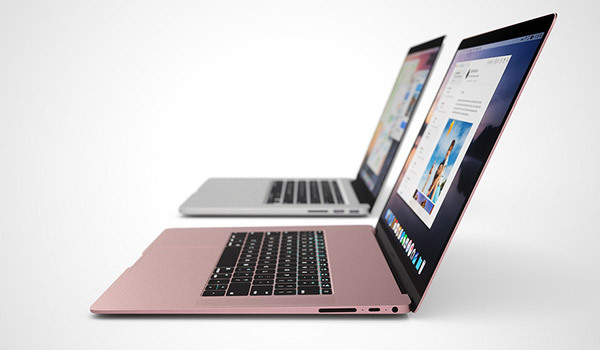 A recent report claims that Apple might unveil ultra-thin 13 and 15-inch MacBook models by June or July. There’s much to look forward to for the Mac user. Why is there so much space above the keyboard?